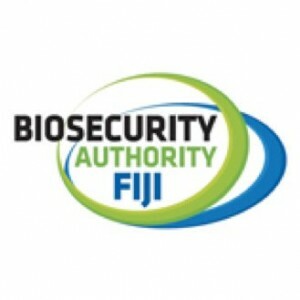 Biosecurity is vitally important to Fiji as we are heavily reliant on agriculture and our natural environment. New pests can not only devastate our food security, but can also damage agriculture or horticultural production, forestry and tourism and affect trade in international markets. The economic consequences of failing to protect Fiji are dire: it could affect our employment opportunities, our human health and also our traditional lifestyle which is highly treasured. All ships and vessels travelling to Fiji need to meet a number of requirements before and upon arrival to ensure Fiji’s environment, economy and people are protected from invasive pests and diseases. This page sets out the requirements for ships and vessels as defined by the Biosecurity of Fiji (BAF). 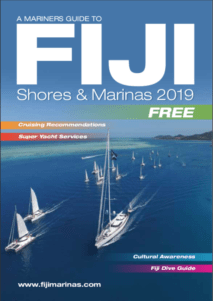 Yachts and pleasure crafts are welcome in Fiji. However, international yachts entering Fiji waters are considered to be of a high biosecurity risk and are closely monitored by BAF. Hence it is important for yacht owners to be aware of the clearance procedures for yachts and other pleasure crafts. Once in Fiji waters, the yachts should proceed immediately to the designated port of entry. any other matter relevant to facilitating biosecurity landing clearance of the yachts that is specified by BAF. This above declaration must be made at least 24 hours before the estimated time of arrival. The vessel master must complete a Master’s Declaration Form declaring all biosecurity risk items on board that are either restricted or prohibited. Animal products including feathers, fur/ skin, shells, hatching eggs. Domesticated pets to be bonded and kept on board the vessel at all times (cats/dogs/ birds etc). Some of these items will not be permitted to be kept aboard the yacht for the duration of the visit in Fiji. What is allowed to stay aboard will be at the discretion of the Biosecurity Officer at the time of inspection, depending on the risk they represent. The Master should also ensure that no refuse containing any animal, plant, animal product or plant product is discharged from the yacht into the sea while the yacht is in Fiji. All refuse generated on the vessel is placed in a suitable leak-proof container, with a lid, and the container is securely fastened at all times and kept aboard the yacht. The refuse can only be removed from the yachts under the directions of the Biosecurity Officer. 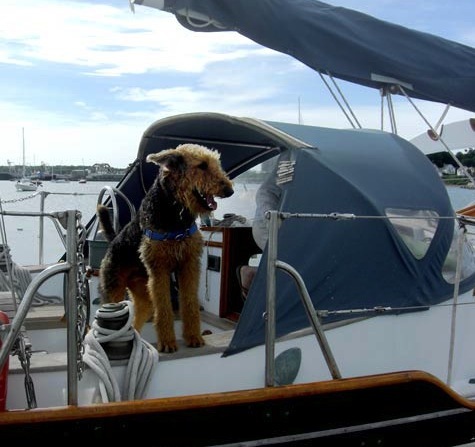 Yachts arriving in Fiji with live cats, dogs, pet birds etc must pay a bond as security against the dog, cat or pet bird etc coming ashore while in Fiji’s territorial waters. The bond payment is F$1,500 which is refundable upon departure from Fiji if bond conditions are not breached. In general no animals will be permitted to come ashore in Fiji and must remain on board the vessel at all times while in Fiji’s territorial waters. Cats, dogs and other pet animals may not be imported into Fiji via yachts. Cats and dogs must be vaccinated against rabies not more than 12 and not less than 6 months before arriving in Fiji. One month after the rabies vaccination of the dog, it must be subjected to the Rabies Neutralization Antibody Tire Test (RNATT) with a positive result of no less than 0.5 IU per ml. By taking these precautionary measures visitors will enjoy traversing the pristine waters of Fiji without the worry that their pets may be posing a risk to the native fauna, flora, the environment and the friendly people of Fiji. Pet birds (e.g. parrots, finches, canaries etc) on yachts, must have been tested free of Newcastle Disease six (6) months prior to arrival in Fiji, must not have been in the waters of countries not free of Newcastle Disease without vaccination less than six (6) months prior to arrival in Fiji. Pet birds must be in locked cages at all times, and must not be brought on shore at any time. Other species of pet animals are prohibited from entry into Fiji waters via yachts. Vaccination certificates and laboratory tests results must be original and made available to Biosecurity Officers when Biosecurity Boarding Inspections are carried out at the first Port of Entry. For further information or clarification please contact the Biosecurity Authority of Fiji on T: 331 2512, F: 330 5043 or E: inf…@biosecurityfiji.com. Enquires can also be made in person at any of the BAF offices.